Recently we decided it was about time to jump into Rising Cities, a browser game published by Bigpoint, and try it out. 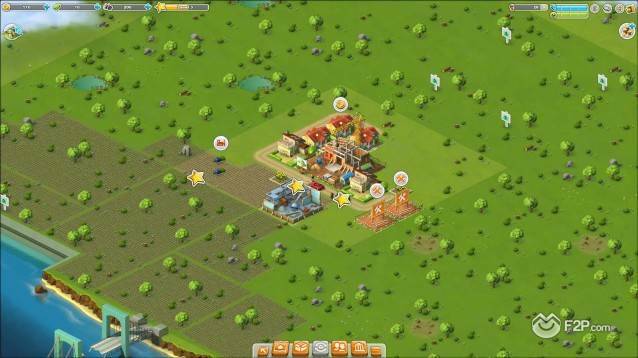 The game is a traditional free-to-play city building/management game accessible through your browser and Facebook. Let’s take a look. For our adventure in Rising Cities we used the registration and log-in process through our Facebook account, which doesn’t take long and is no more than a couple of clicks. In a matter of seconds, you will be launched into the game, where you can begin your new life as a city mayor with just some tenants, a few resources and empty streets. Your task will be to transform this sad little settlement into a flourishing, rich and successful city. Excited to start the development of our virtual cities, we followed the first tutorial quests which teach you how to use the basic features of the game. Continuing in the game, the quests continued to pop up, always giving us hints on what was the best thing to do next while exploring some advanced elements, like satisfying our tenants’ needs and more. The bad thing is that, with the exception of some useful advice, we didn’t really need any tutorial or guide to play the game, as its plays just like any other city/farm/realm building game on Facebook; select the building you want to place, select the location, wait for the timer and once it is done it will produce some kind of resource or money and XP. However, there are some interesting strategic aspects to keep in mind, such as choosing the tenant type for every house, connecting all the buildings with streets, or positioning some special buildings, like the vegetable plots and fruit and vegetable market next to the medium villas, so the villas can produce more manpower or money. You can choose which citizen type will live in a new house: a capitalist, which brings money, or a worker, which brings manpower. There is not much to say about the Rising Cities' gameplay, in both a good and bad sense. It's a classic building/management game and this can be a positive thing for some players and a negative side for others. It's positive because if you ever played a similar game, you will immediately feel at home as the game sticks with the simple and yet effective formula of the "collect resources > build structure > collect income - repeat" cycle, and if you like these kind of games you can just jump in and have fun. However at the same time it can be a negative, as there is basically no innovation, and it offers a gameplay experience maybe too similar to the ones already seen in many other browser games out there. 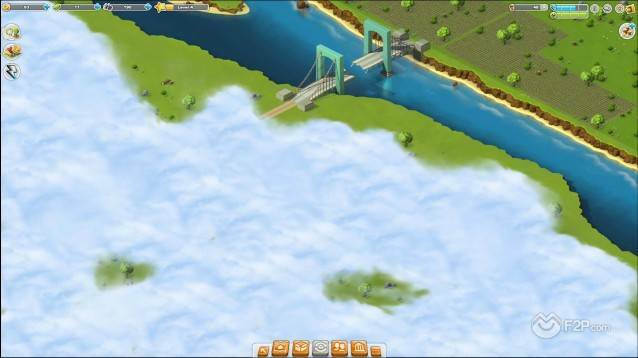 To be honest, the game tries to entertain you with some particular mechanics or features, like the buildings with special needs that we already mentioned above, or the fact that almost all the buildings have to be connected to the city by a street, or the presence of special terrain where you can build only particular types of buildings. Moreover, you also have to keep in mind and balance the city energy consumption and your citizens' happiness. All these factor combined will encourage you to carefully consider your city plan and actually put some strategy into the game. However, considering the overall gameplay experience, while surely interesting, these elements are sadly not enough to make the game stand out. Another thing that we noticed while playing, is that even if you can move your building and change the shape of your city whenever you want, you can't rotate the buildings. While this surely isn't a gamebreaker - as it would be just a cosmetic feature - we have to say that the absence of such an option feels kinda strange in a game where the city planning and building is the core element, and players who are customization addicted could be disappointed. The game offers extremely enjoyable and colorful 2D graphics, features an artistic style which is somewhat halfway between realistic and cartoonish and that fits the overall game's style pretty well. There are several building types and enough variety to let you build an interesting city. 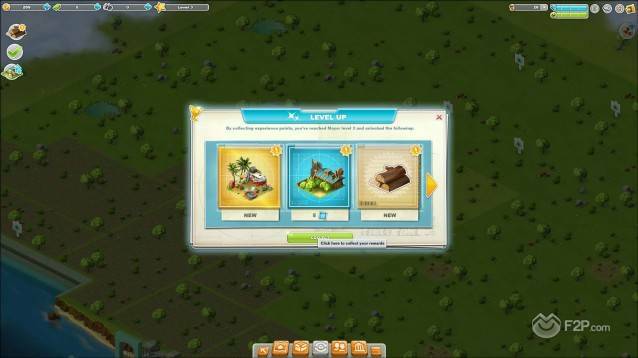 There are also some simple but nice animations, both for the resource/income spawning and your city. It's actually a pleasure to watch your town coming to life and being populated more and more, with people walking on the streets, driving around and more. The User Interface is something simple and effective, as it's easy to get used to it and it's usually pretty clear. You will find everything you need at just a couple of clicks away. Rising Cities is a casual browser game which offers you the gameplay mechanics made popular by games like Farmville, and brings them in a city-building scenario. The game is mainly aimed at casual players, and you will progress without difficulty with just some quick clicks when you do have time during the day. The bad thing is that the game offers almost no innovation, and if you are expecting something new and interesting you could end up being disappointed. However, if you are looking for a time-killer which can be played during both short breaks or longer sessions, to invest some time in, and you think it would be interesting to have a personal city which grows day after day and eventually become a majestic metropolis, you could give it a shot. One Comment - "Rising Cities"
This game is my new favorite game…. or one of them anyway. I still love Howrse.com but this is more quick, fast paced and challenging while Howrse is more a slow strategy game.